Nova Scotia paramedics rally for a fair contract. A poster from the MTA fare strike in New York City. 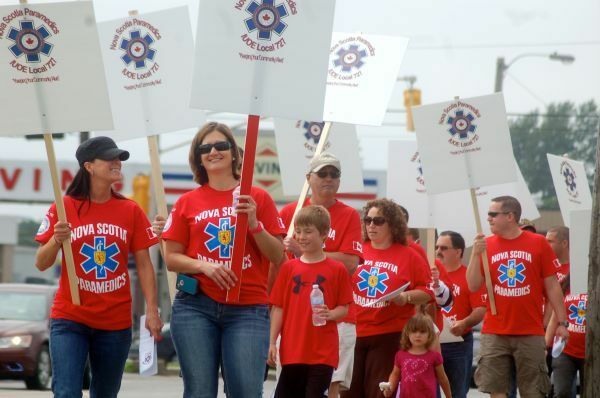 On July 5, Nova Scotia’s New Democratic government reconvened the legislature to pass a special law revoking the right to strike for 800 ground and air ambulance paramedics of Local 727 of the International Union of Operating Engineers. The paramedics are employed by EMC Inc., a private for-profit company involved in our healthcare system. The NDP government of Premier Darrell Dexter framed the decision to intervene as protecting public health and safety. The government chose to send the dispute to final offer arbitration, which is understood to be generally favourable to the employer. The actions of the NDP in Nova Scotia have reignited discussion around the right to strike and whether or not “essential service” legislation is actually a solution to labour disruption in healthcare and other critical public services. The quashing of the paramedics’ right to strike in Nova Scotia by the NDP also raises important questions about how workers providing essential public services can wield their collective strength, while also winning over, educating and mobilizing the public. Paramedics could develop potential strike tactics (legal or otherwise) such as a “paperwork strike” whereby the billing of patients for ambulance rides would not be filled out and submitted by the paramedics. By avoiding animosity generated from service disruption, such protest activity may prove popular with the public, especially if workers combine their action with a call for an abolition of ambulance fees altogether. 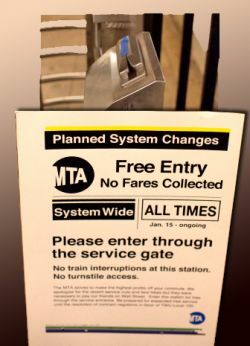 The fare strike by New York City transit workers on March 28, 2012 may inspire some solutions to the dilemmas confronting public sector workers. Carried out by rank-and-file transit workers independently of their union, eight subway stations did not collect fares in protest of fare increases, racist policing, and working conditions. Unlike a normal transit strike there was no service disruption. NYC transit workers won a degree of sympathy and support from the public. And the employer felt it in the pocketbook. Fare strikes could be used by Toronto transit workers who lost the right to strike and were deemed an essential service by the Liberal McGuinty government in 2011. There are many other public services that involve direct, up-front user fees or some form of billing. Many of these user fees, such as the healthcare fees in British Columbia, are unpopular with diverse sections of the public. 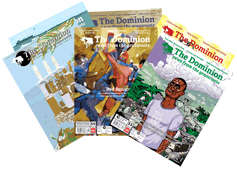 Governments, by introducing user fees, have made themselves vulnerable to public-sector workers and the wider public coordinating in non-payment campaigns. Obviously, such tactics may very well violate labour laws. But when the government is so willing to side with the employer by taking away the right to strike, creative actions like these don’t seem so far-fetched. Unless “essential service” pubic-sector workers and their unions begin to try new tactics and strategies, the familiar pattern of legal repression will continue.